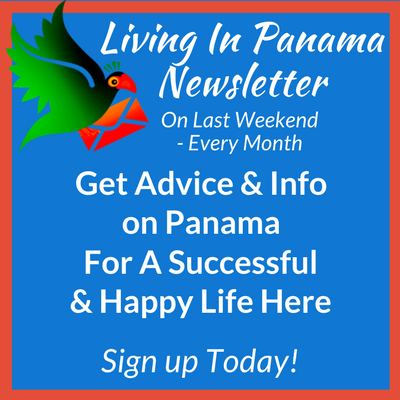 Get Your "Living In Panama Newsletter"
Enter your email address below. We will only send you valuable information. Plus you can suggest Newsletter topics! You can unsubscribe at any time by clicking the link in the footer in every one of our emails & Newsletters. For information about our privacy practices, please visit our website. "I have found alot of answers (even to questions I didn't know to ask) . You are clear & to the point"
"I like your website. It reveals real things, not just tourist packages. Thank you"
"One of the best websites I've seen for information on Panama. Congratulations!" "Thanks so much. Love reading your very informative site. Getting to see your interest and enjoyment of life reflected in the smiles you and your family display. Thanks for the integrity of your information"